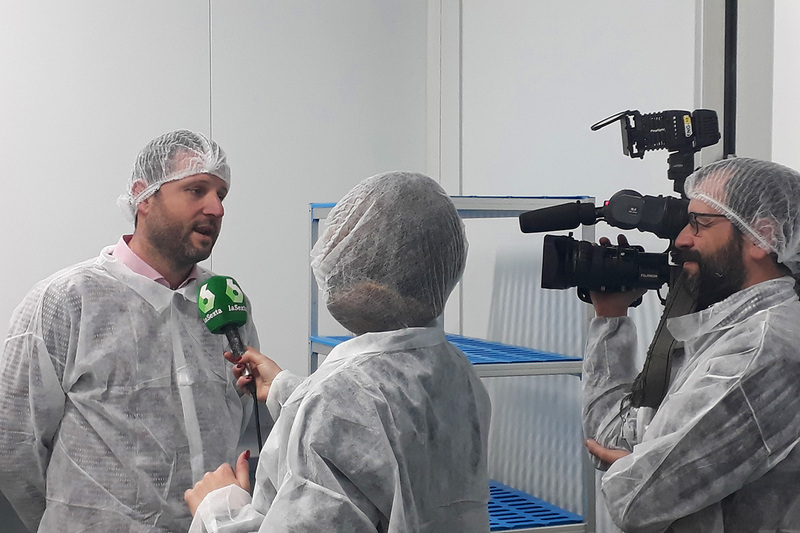 Last Friday, December 28, our Freshcut facilities received a visit from La Sexta Noticias to make a report that would be broadcasted on the same day in the Más Vale Tarde news program. In the report they showed the work we did for the preparation of the 12 grapes of New Year’s Eve. Given our extensive program of grapes without seeds and Aledo grapes for those dates, we destined a specific confection for that special night. The consumption of seedless grapes is increasingly relevant in the market, and we develop different confections for our customers. In the report, our Product Manager Josep Segarra, participated in the report telling us the results of the national and import campaigns. We have to say that it was a very special day. Acquisition of Sociedad SEVIMPOR and the start of construction works in the new Dos Hermanas warehouse in Seville. We enjoyed a “FAMILY DAY” in the Espiritu de Montjuic event!